Charles Rennie Mackintosh, born on the 7th June 1868, was a Scottish architect, designer, water colourist and artist. His work was influential on European design movements such as Art Nouveau and Secessionism and praised by great modernists. Mackintosh worked with Honeyman & Keppie’s architectural practice where he started his first major architectural project, the Glasgow Herald Building in 1895. In 1904, after completing several successful building designs, Mackintosh became a partner and the company became Honeyman, Keppie & Mackintosh. Mackintosh lived most of his life in the city of Glasgow, where he became known as the ‘pioneer’ of the Modernist movement. However, his designs were far removed from the bleak utilitarianism of Modernism. 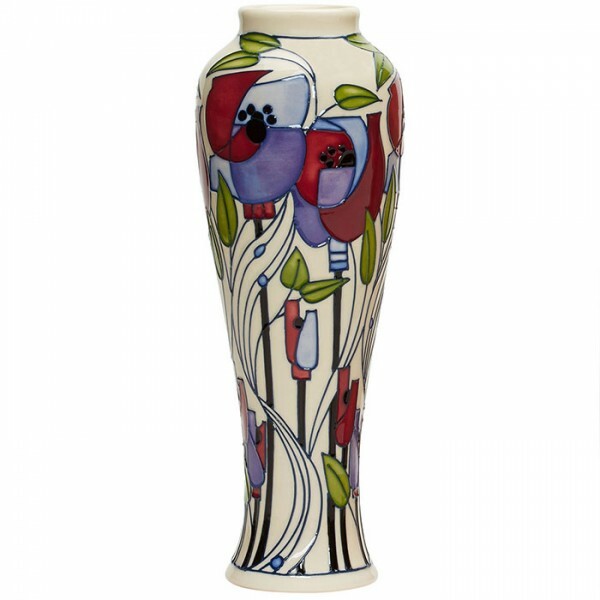 Mackintosh took his inspiration from his Scottish upbringing and blended this with the flourish of Art Nouveau and the simplicity of Japanese forms. 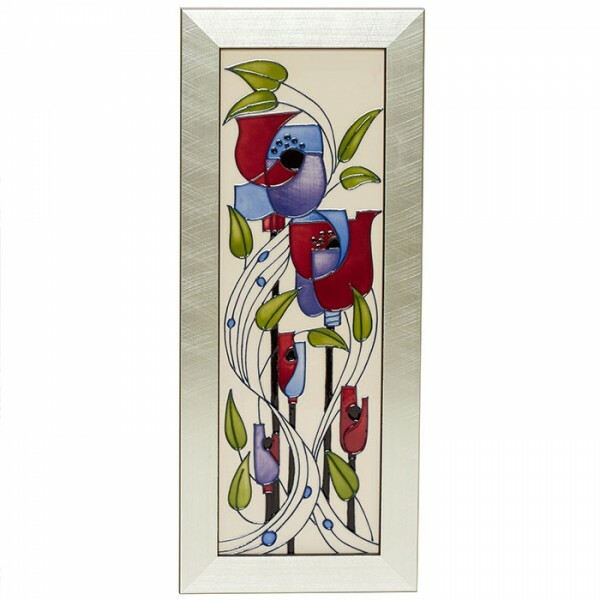 While working in architecture Mackintosh developed his own style: a contrast between strong right angles and floral-inspired decorative motifs with subtle curves, such as the Mackintosh Rose motif. The project that helped make his international reputation was the Glasgow School of Art (1896–1909). While Mackintosh's architectural career was a relatively short one, from 1895 to 1906, it had a significant impact on the world. Later in life Mackintosh worked largely as a watercolourist, painting numerous landscapes and flower studies. He moved to the Suffolk village of Walberswick in 1914, then to Chelsea in 1915, followed by Port-Vendres in France in 1923. 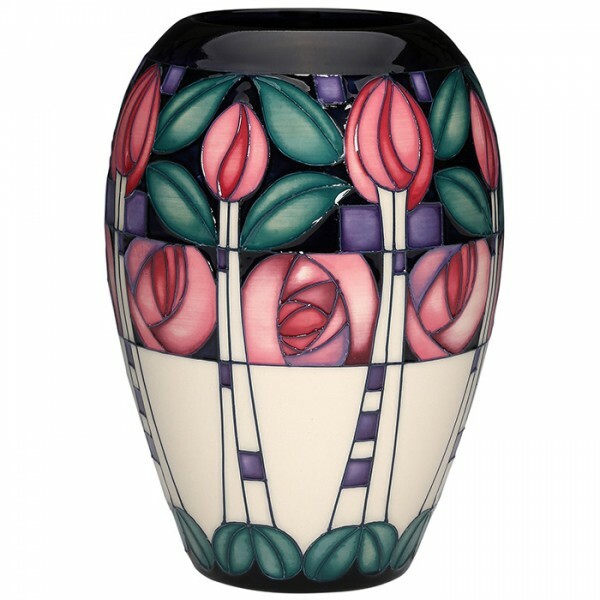 Mackintosh's designs have gained in popularity in recent decades. His House for an Art Lover was built in Glasgow's Bellahouston Park in 1996, and the University of Glasgow rebuilt the interior of a terraced house Mackintosh had designed, and furnished it with his work (it is part of the university's Hunterian Museum. The revival of public interest has led to the refurbishment and opening of more buildings to the public, such as the Willow Tea Rooms in Glasgow. 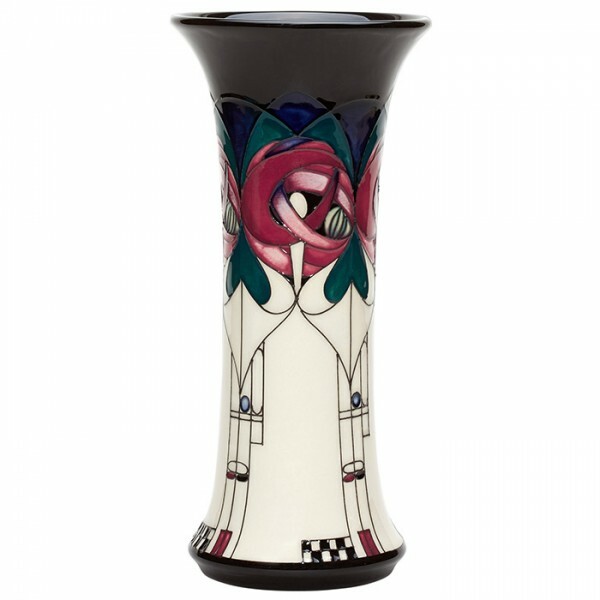 Mackintosh’s prolific career has inspired Moorcroft’s designers for many years, and in his 150th anniversary year, the members of the Moorcroft Design Studio have worked together to create a collection to celebrate this great man’s life and work, including a trio of designs inspired by 78 Derngate in Northampton, the only English home he designed. Mackintosh first met businesswoman Miss Cranston in 1896 and was given the commission to decorate th..
Perhaps Mackintosh’s most iconic design in 78 Derngate is to be discovered in the hall/lounge which ..
Mackintosh championed the Art Nouveau design movement, and the stylised rose became one of his desig.. In 1914 Mackintosh left Glasgow and moved to his new home, Millside, in the village of Walberswick o..
On the top floor of 78 Derngate is a dazzling showpiece of the house, the guest bedroom. It was perc..